As previously stated, cabbage is one of my favorite comfort foods. And with finals week upon me, you can bet I’ve gone through a few heads already. In fact, to double-up the comfort, I’ve combined cabbage and pizza for the grand effect! Preheat the oven to 350 degrees. 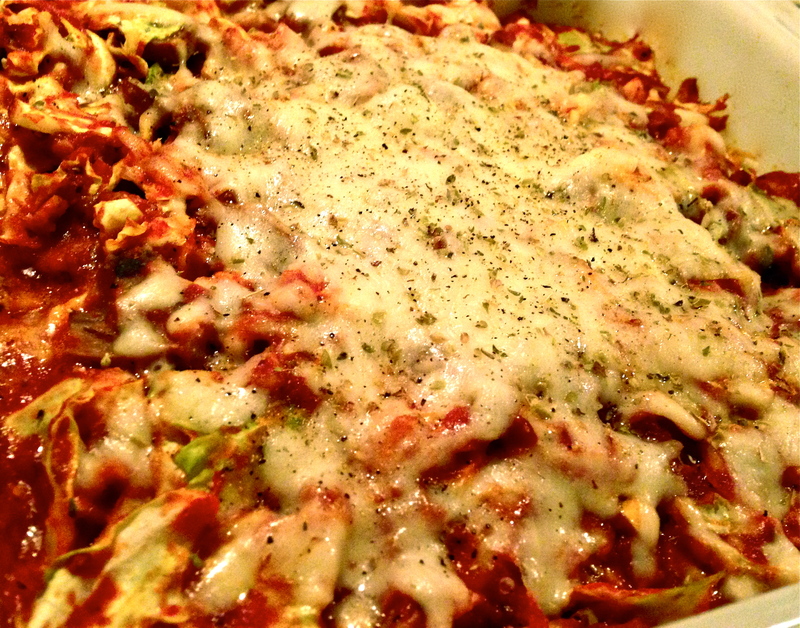 In a bowl, combine cabbage, sauce, 3/4 cup cheese, sausage, mushrooms, garlic powder, onion powder, oregano, salt, and pepper. Stir until evenly mixed and pour into a 8×8 baking dish. Top with remaining 1/4 cup of cheese. Bake in the oven for 35 minutes. Let cool for at least 10 minutes before eating.